Reissue with bonus tracks of debut ELP-ish disc. I was half -way thru this the first time before I realized there was no keyboard player! Excellent ELP-style stuff. The ZNR version of this is long out-of-print but Cyclops reissued it with bonus tracks so this version is more than adequate! 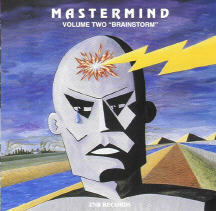 Notify me of updates to Mastermind "Volume One"